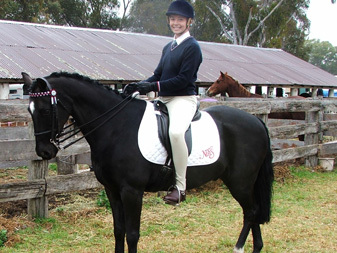 We often get customer enquiries asking if Show Pony can be used on dogs. I thought I would post these before and after shots of cute "Elmo" kindly sent to us by Sarah. Sarah used Show Pony Black to achieve natural tones of grey and black. Well done! He looks gorgeous! 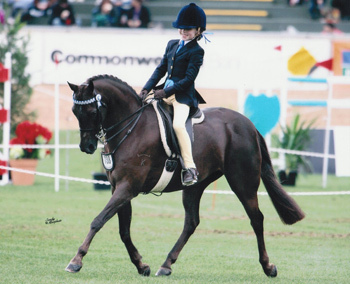 I’ve been dying Lea with Show pony colour since 2009. 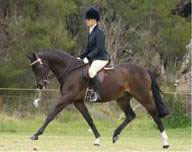 Lea is registered Brown and I find using a kit makes him that bit darker and the coat always looks fantastic and shiny. I’ve used other products and never got the same fantastic results! 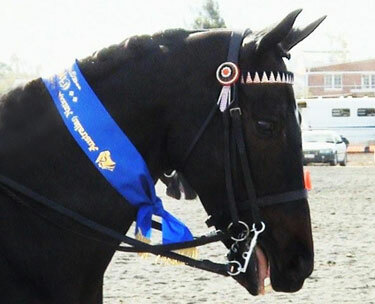 Gold Garland was at the WA Arabian State Championships. I bought a mane & tail kit from you last week and just wanted to show you the results. Here are two photos of my youngster's heavily bleached mane and tail, and then the impressive dye job that follows. This is the 2nd time I have used your product, I just LOVE it! My boy is a very handsome mahogany bay, but when clipped goes a not so lovely mushroom colour, the brown dye makes him look amazing and so shiny. The before and after photos tell the story. Before shot of "Wilson" who is usually a beautiful Mahogany Bay but after clipping goes a not so lovely "mushroom colour"
Amazing colour and shine using Show Pony Colour, also so impressed with the CLEAR product.. a must for those difficult colours like paints. 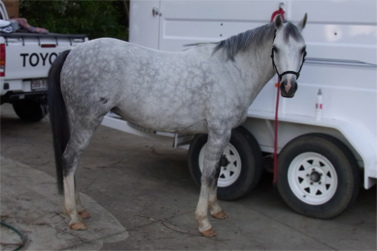 Wayne and Chris Price approached me to colour my 29 year old horse to use on the instructional DVD on their Show pony Colour website! I was truly amazed at the results! 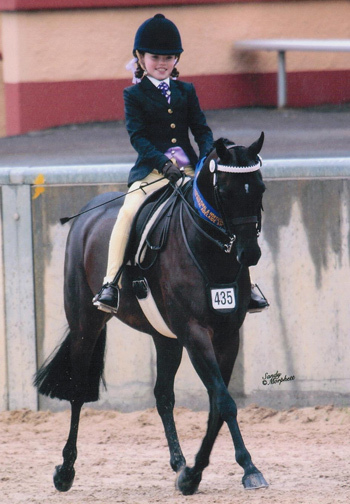 Firstly there was no irritation at all to my horse and his coat was left in amazing condition with a superb shine! I will definitely be using Show pony Colour from now on! Thanks so much for your wonderful product! I'm sure I'll be ordering more soon! 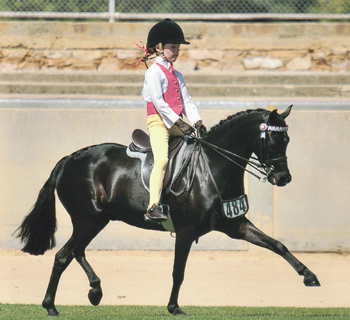 Here is a picture of my daughters riding pony. The before picture is the one without the big sash! 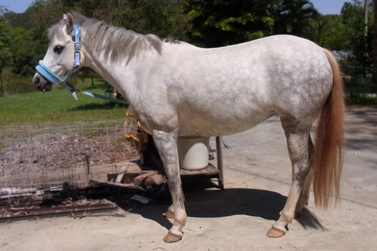 The after picture is after he won Supreme Lead Exhibit at the North Queensland Games! We used the black and bay. The black was used in his tail and mane and we also ran it into his legs to give them more depth and did not have to apply half as much ravens oil! The bay gave him a more even coat colour with no lighter patches. 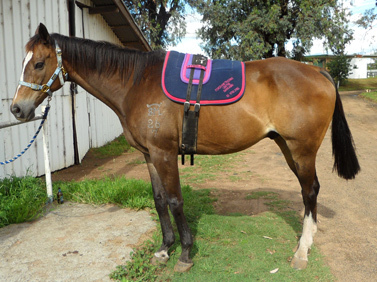 I was impressed with the shine and softness in his coat and tail, I will continue to use these products. From Drab to Fab in under 2 hours! 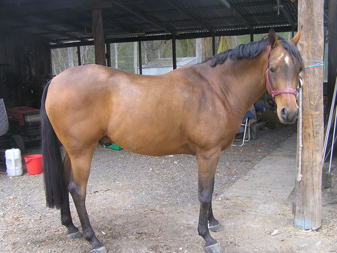 Here is my ASH gelding (Magic Albert) whom every winter grows the thickest coat no matter what you do to prevent it. Each year I have clip him and doing so turns his coat from dark brown/black to a washed out dull colour. 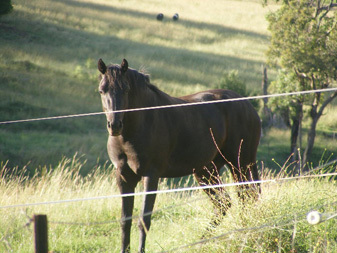 But not anymore, I used the black Show Pony colour and WOW, he went from Drab to Fab in under 2hours. So thanks for a wonderful product. He won his Gallaway Hack class! The dye worked a treat. He came up looking fantastic! 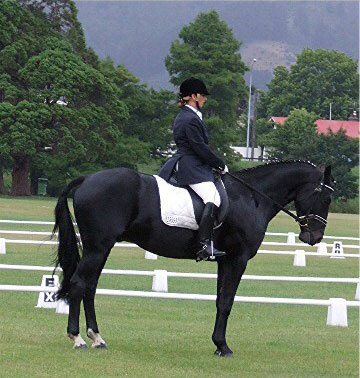 The photo shows him at a huge Interschool comp where, even though he's not wearing his ribbon, he won his Galloway Hack class from a huge field! There were 3 groups of horses in the ring from which they chose about five from each and then they put that lot back in the ring and he went on to win it! We were stoked to say the least, he looked fabulous! Very black and glossy!!! 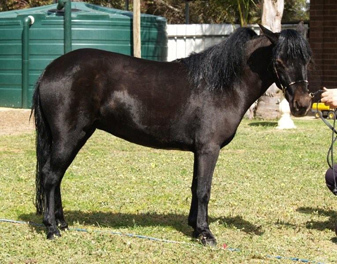 I have since been talking to another friend who just bought a black pony, I told her about your product and sent her the photos, she said "Wow" I can't believe its the same horse!" So thank-you. 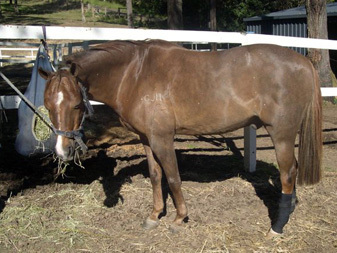 Here is another success story for Show Pony Colour. Bronson takes out Supreme, again. I am so so impressed by this product - the results are amazing and these photos speak for themselves - they are advertisers here so I hope my blast is ok........ I just think a lot of people need to know about this product! Dealing with Chris Price was wonderful - what more could I ask awesome product and fantastic service. More businesses need to be like this! 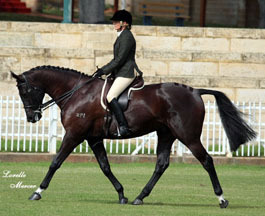 These photos were taken by Lorelle Mercer (www.lorellemercer.com.au) of this magnificent horse! The black was applied and once again you can see the difference Show Pony Colour makes to the coat, the shine and condition are outstanding! She wins the open turnout and her age class! 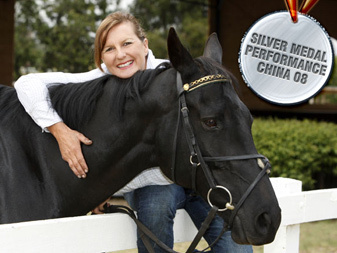 Having been a hairdresser and now allergic to colour, I was so pleased to find a product on the market that is safe for my horse to use, and myself!There were no fumes at all, and it so easy to apply. Last season I used it and always had comments on her coat and the fantastic shine. 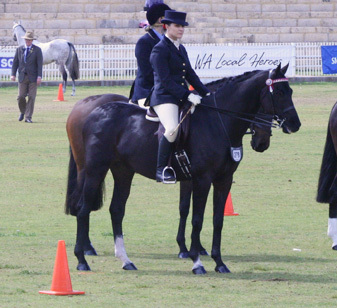 Before Show Pony colour, my horse was black/brown. 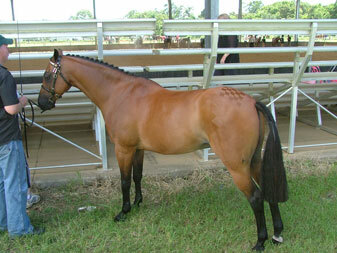 The usual faded/burnt areas of the flank and on the shoulder just didn’t give her a show ring finish. Thanks so much for a wonderful SAFE and easy to use product that actually does what it says it will. The fast delivery is a bonus too!! 10 months and still has no signs of fading! 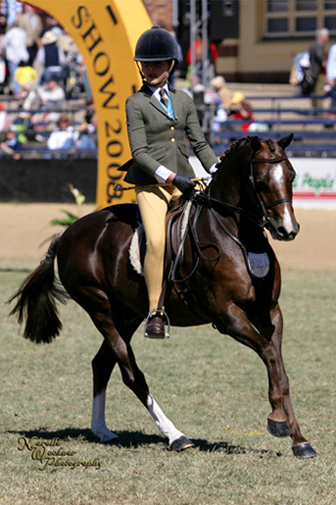 Hello, I would just like to let you know that I think your Show pony colour is absolutely fantastic. 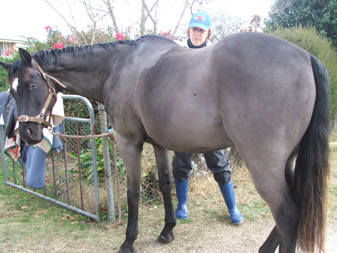 I used the black in my ponies tail in February this year and now in December it is still as black as can be. It has lasted 10 months and still has no signs of fading! Your colour is a great money saver as I would have used 3 or 4 human hair colours during this time, not to mention the time it takes each time it would have been dyed. 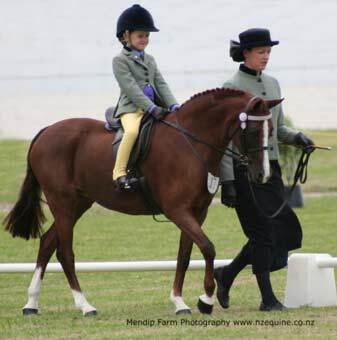 The before photo is of Mahana Sweet Secret before showpony colour and the after photo was taken 1 week later at the Royal Easter Show 09 in Auckland where Mahana Sweet Secret and Jordan Smythe took out the NZ Pony Breeders Sash and Champion Lead Rein Pony. The photos say it all!!! In the before photo he had just been clipped. I most definitely couldn't take him anywhere looking like that! 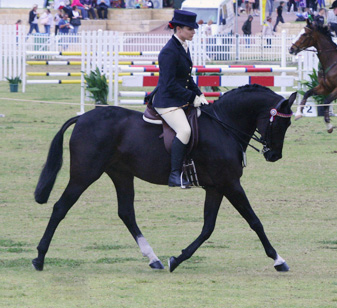 He got coloured on the Wednesday and then competed at the Ekka in Brisbane on Friday (& won!) I simply rave about your dye to anyone who has a horse. It is simply the best! 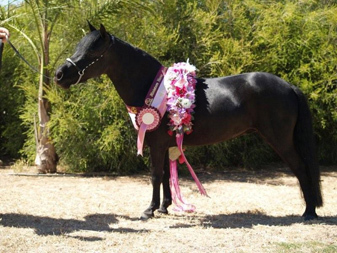 Supreme Small Horse Exhibit Winner! 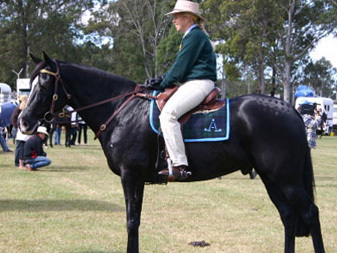 Hi, as per our phone call today I have attached three photos of our Small Horse Miniature. We are so pleased with Show Pony its ease of use and of course the beautiful enhanced colour and shine that it has put on our 2y.o. 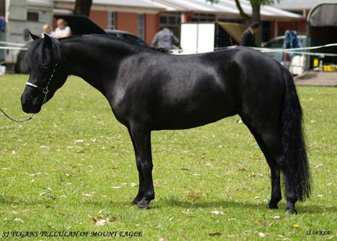 Small Horse Filly SL Tegans Tellulah of Mount Eagle. 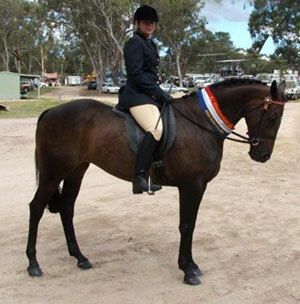 She went onto to win Supreme Small Horse Exhibit at the MHAA SA Branch Championship Show 13.12.09. 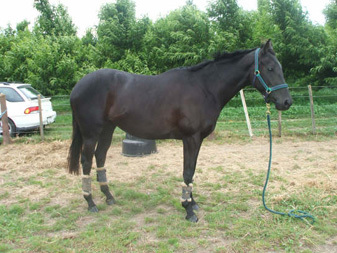 We have found using Show Pony that the horses actually enjoy the process almost like a massage and while waiting for the process time a little hay to pick on, rinse shampoo and condition. We rugged her for the show and the next day rugs removed, feet done and straight into ring, no other product needed to be used. 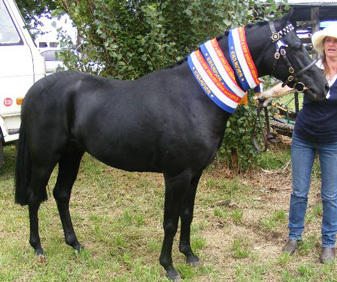 We left Dexter our R/P Colt unrugged for most of summer and when show time came in March for us we used BLACK SHOW PONY COLOUR on him as he was extremley faded in the shoulders and tail etc. WOW, AMAZING!! 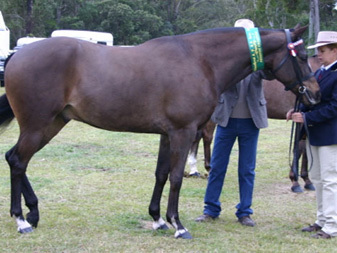 He went to Armidale Show a week after the colour and was awarded Supreme Runner-Up of the Show from 27 horses! 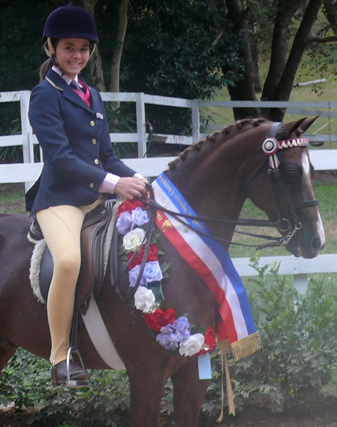 Also Champion Riding Pony, Champion Saddle Pony, Champion Part Welsh and Res Champ Part Arabian. 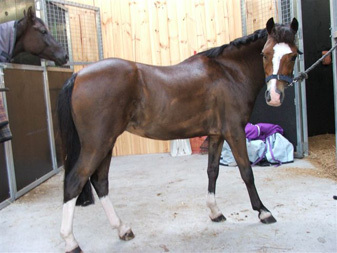 The comments about his colour and coat condition came thick and fast We also used this fab product on our Buckskin R/P filly. We used black on her legs and tail, WHAT a DIFFERENCE! 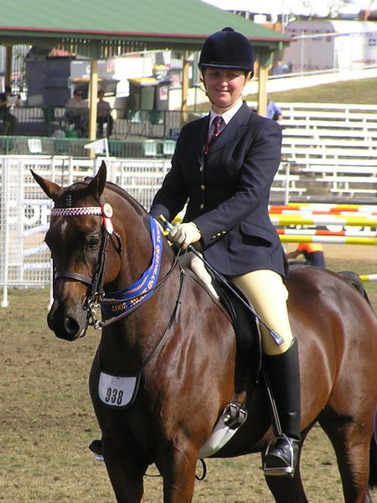 She to went to Armidale and went Champion Buckskin, Res Champ Part APSB ( beating the sr mare and gelding! ) 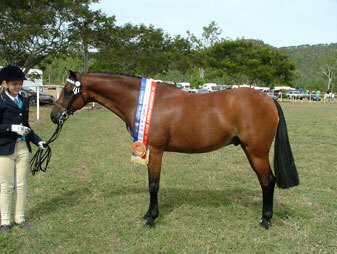 and won all of her young stock classes under 2yrs. THIS PRODUCT IS A MUST HAVE FOR ALL SHOWIES. I bought some grey dye for 'Buttons' last week, and have only just gained the courage to dye her today.Here are the before and after photos. As you can see, her tail was very brown caused by disaster after disaster. I am so pleased with the result. Thanks. I am actually embarrassed to show you!! here is Muddy, after being turned out in the paddock for 3 months without rugs on and so sunbleachd he looks buckskin, and then muddy after Show Pony!! So shiney, soft and dark! Whoever invented Show Pony needs to make some for humans- it doesnt dye the hair the one solid colour, but keeps the natural lighter patches and darkens them....i love it, and will never use anything else. Bess is always dyed Chocolate Brown. She always looks amazing! 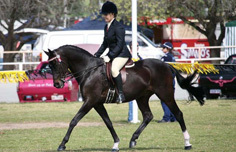 Champion Pony Adelaide Royal and Melbourne Royal 2009. 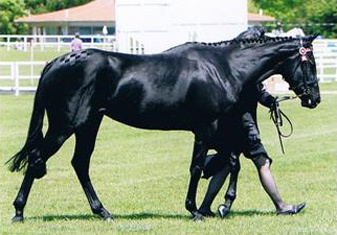 Multiple HOTY winner, Multiple Royal show Winner. Champion of Champions. 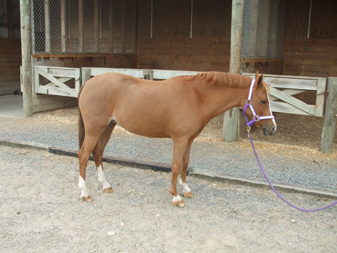 Sally is Dyed in Liver Chestnut when her coat has been clipped. 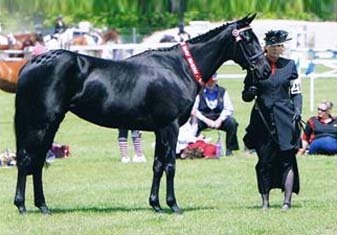 Multiple Royal show winner, year after year. 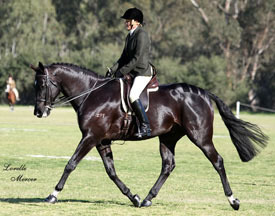 He is only 11.2hh. He is always dyed with two chocolate to one black. Yet he went Black. 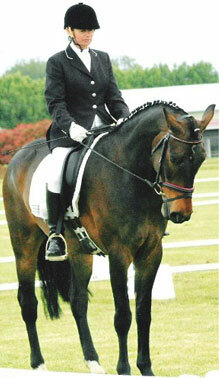 Hi, I’m Sonja Johnson and this is the wonderful Ringwould Jaguar, my partner through many exciting adventures in 2008! 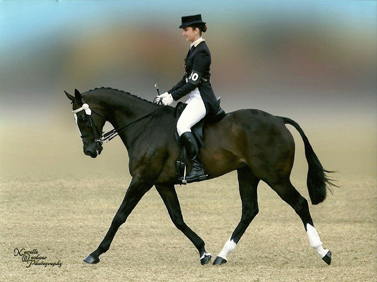 Jaguar is a typical black/brown horse, black when it doesn’t matter and a lovely pale cacky yellow/dark brown colour when it matters! I have spent lots of time and money to find a product to make Jaguar black, after a lot of searching I was introduced to Show Pony Colour. I did a patch test with no problems and after colouring, Jaguar was the most amazing black colour! At no stage did the colour come off onto my saddle cloth or clothing and there was no suffering to Jaguar’s skin, he just looked awesome! Its thanks to Show Pony Colour that I can now turn Jaguar into the black I need him whenever I want to! 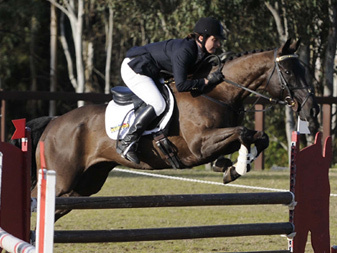 Show Pony Colour would like to thank Mrs Nikki Brooks of Brookleigh Equestrian Estate.